If you look at the Star Wars universe over the last decade or so, Dave Filoni is one of the most important figures for the franchise and its continued evolution. He’s had a variety of top creative roles for the animated Clone Wars and Rebels television shows. This has carried on to the new Star Wars: Resistance and the upcoming The Mandalorian, which is set to air on Disney+ streaming platform. 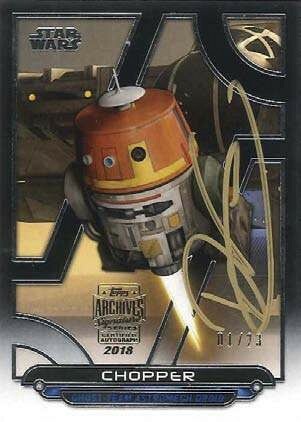 Filoni was also the “voice”of Chopper on Rebels.